Stinkbugs, worms, and termites are good examples of things that most human beings wouldn’t tolerate inside their kitchen, let alone on their plates. However, the African bushveld is home to plenty of protein-rich foods that have enabled our ancestors to survive during tough times. Africa can be unrelenting in its landscape, changeable weather patterns and often hostile ecosystems. 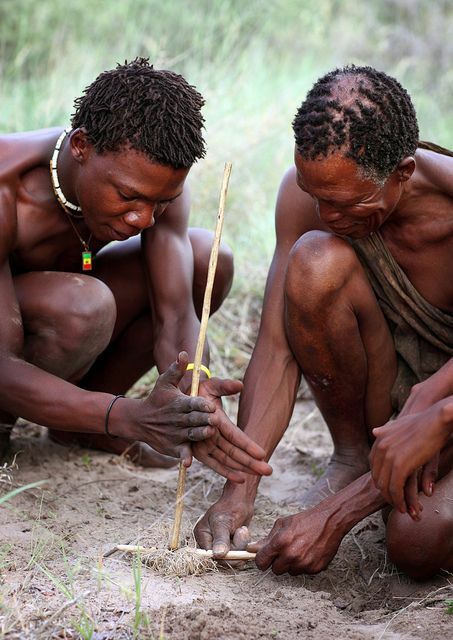 Ancient Africans were comprised of bands of hunter-gatherers and only with the domestication of cattle in the east and south of Africa did these nomads begin settling down into chiefdoms and kingdoms, a pattern that all of our ancestors followed. Africa is abundant in plants and animals and so it is no surprise that over the centuries, some interesting foods became a staple among certain cultures. Also known as ‘Madora’, ‘Masonja’, ‘Ohane’, ‘Amacimbi’, Mopane worms or caterpillars are a favorite snack in Namibia, Botswana, South Africa, and Zimbabwe. They can be found on the leaves of the Mopane tree, its trunk, or the ground. After harvesting, their insides are carefully removed and disposed of while the rest of the body is washed then cooked in a stew pot. 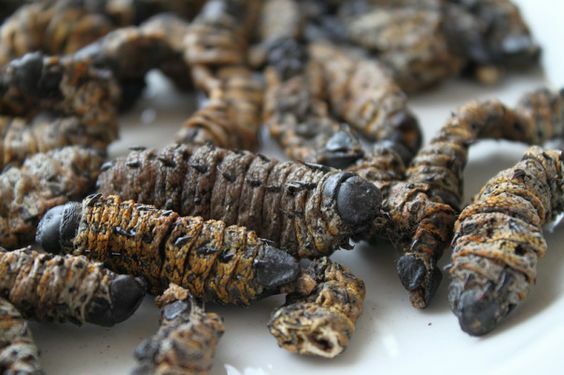 People still consume Mopane worms today and often traditional gatherings include these worms as crunchy, sun dried snack for everyone to enjoy. An ostrich egg is 24 times the size of a regular egg which makes sense since the ostrich is the largest bird on the planet. 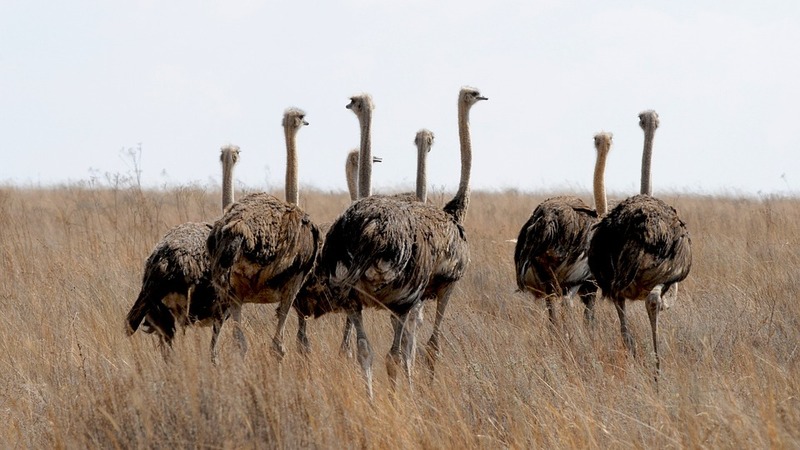 While flightless, the ostrich is an incredibly fast and powerful bird who are extremely protective of their eggs. Getting an ostrich egg is risky business but the reward is certainly worth it. A single ostrich egg can provide your body with over 2,000 calories and Vitamins A and E. Compared to chicken, ostrich eggs have less saturated fat and lower cholesterol levels. Ostrich eggs are incubated on ostrich farms either artificially, or by a domesticated bird. In the wild, ostrich eggs are favoured by most carnivores. 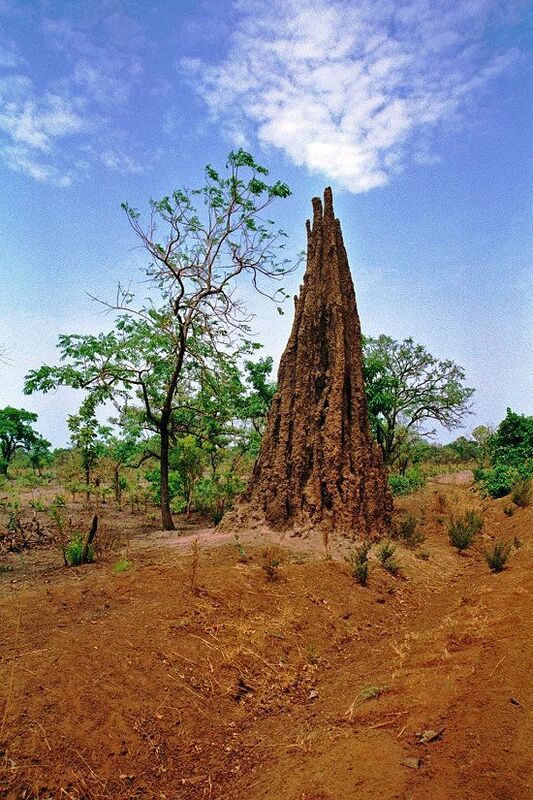 Termites throughout Africa create enormous mounds of digested soil that can be as old as 2000 years and reach incredible heights. Termites are a popular food in eastern South Africa. To extract the edible larvae, gatherers must destroy the mound and try not to be attacked by these protective insects. Termites and their larvae can be roasted, deep fried, or consumed raw after extraction. Termites are a great source of protein and nutrients such as Vitamins A and C as well as other minerals. According to locals, they are best consumed as snacks and taste like carrots. Some termite species are also believed to have therapeutic properties. Next time you’re on safari, ask your experienced safari guide about which termites are edible and which aren’t. While it’s always fascinating to learn about what different cultures eat, Africa’s cuisine is a mixture of traditional and contemporary recipes and ingredients. On safari with Discover Africa, all our five-star lodgings offer predominantly Western cuisine. If you have any allergies, please be sure to let your safari expert know. We encourage you to be daring, you never know what unusual morsel you’ll actually enjoy.